In association with Bella Italia. All views my own. Although we have about 47 different Italian restaurants in Taunton, we don’t have a Bella Italia. We have been to Bella Italia in Bristol in few times, but about four or five years ago I had a slightly odd experience with some goats cheese bruschetta and I’m not sure we’ve been since. My general impression, a few years ago, was that the food was FINE. Nothing more though. What I’m saying is that if you’re seeing ‘Bella Italia’ and wrinkling your nose up a bit because you’re not 100% sold then I hear you. I felt exactly the same until this week. (And this is a big but)…. 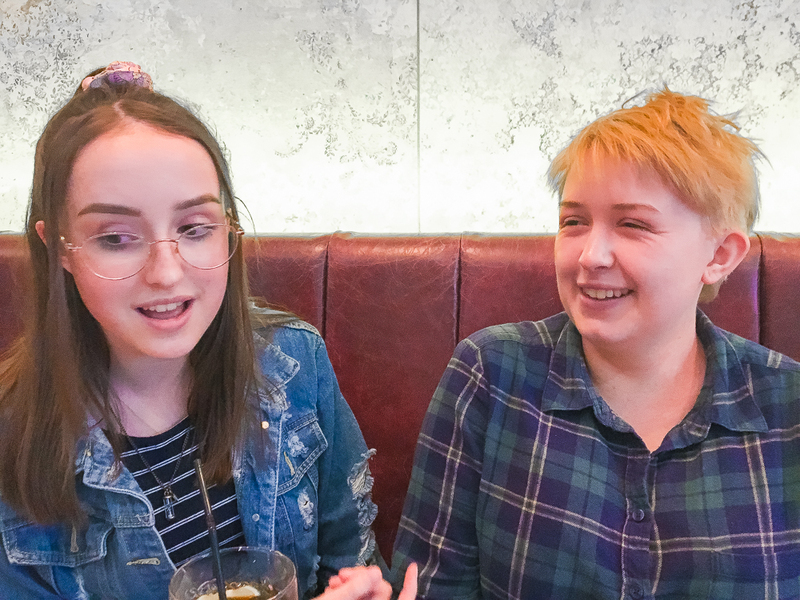 I took Bee and Belle along to Bella Italia in Baldwin Street in Bristol this week to try out the new menu, which launched this month, and I honestly could not have been more impressed. Bella Italia has clearly come a long way since the goats cheese incident, and we stuffed ourselves silly (in the name of research) trying out a whole host of fantastic dishes. Bella Italia totally exceeded my expectations and all three of us said we would definitely go back again. Every single thing we tried was delicious, plus I learnt a lot of things that I didn’t know about the restaurant and their ingredients. Next time you’re going out for a meal, do think of Bella Italia. I know, this one isn’t about food, but cocktails? Come on. You know you want one. I tried a ‘Sicilian Southside’, which is prosecco, limoncello and mint. It’s not a combination I’ve tried before but I will definitely try it again. 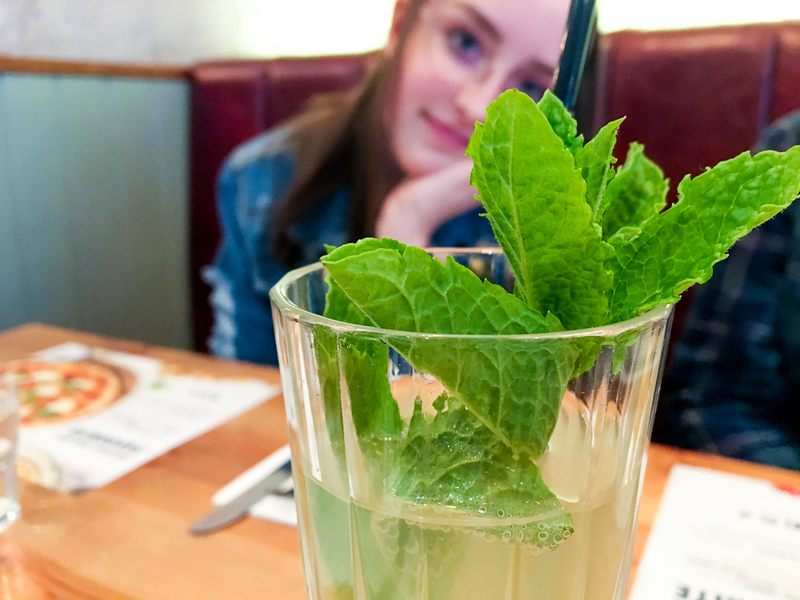 There’s also a mocktail section on the menu – Bee had a passionfruit cooler. I dread to think how many pizzas Belle has eaten in her lifetime. It must be pushing 1,000, if you go with maybe one or two a week? Suffice to say that it’s one of her favourite things in the whole world and if anyone knows pizza it’s Belle. The Queen Margherita, we all agreed, was a thing of JOY. One of the best pizzas any of us have eaten in a long time. 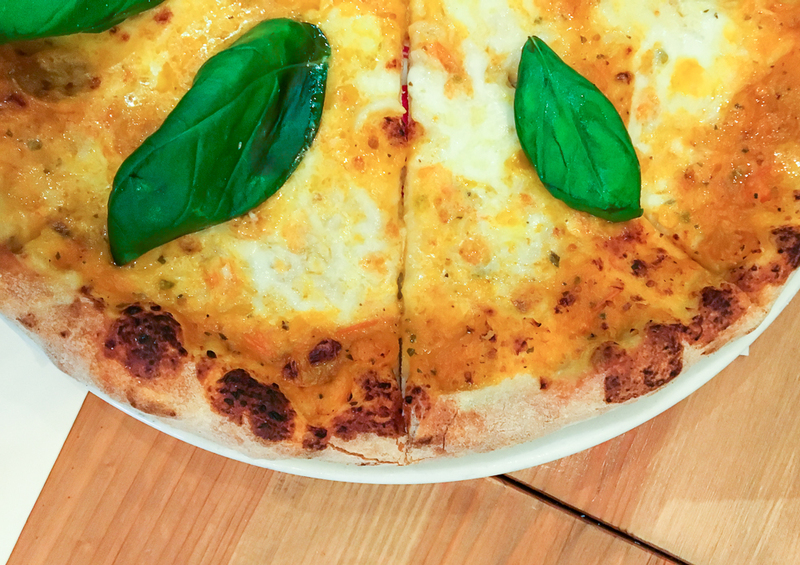 It’s simple – golden tomato sauce, buffalo mozzeralla and basil – but some things you just don’t need to complicate. The golden tomato sauce is a new addition to the menu and is inspired by an Italian recipe made with yellow tomatoes and peppers. 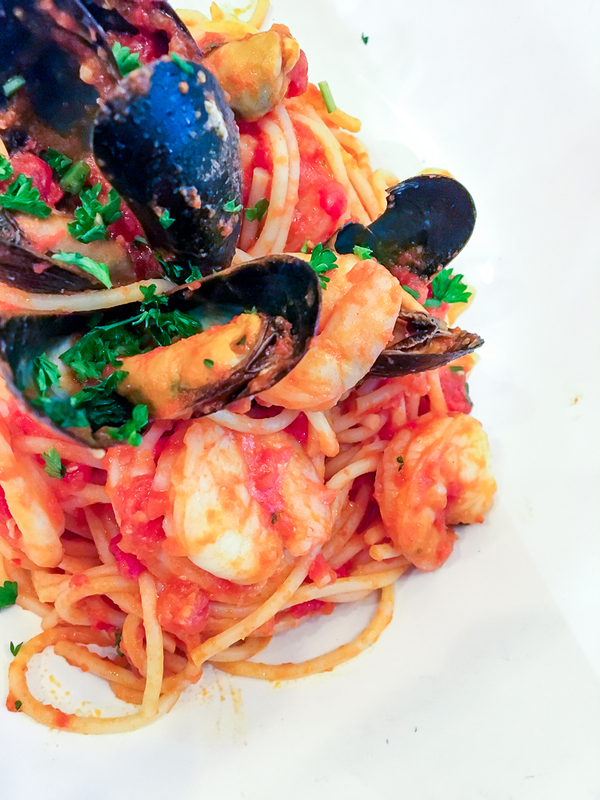 Mussels prawns, squid rings, spaghetti, garlic… WHAT. IS. NOT. TO. LOVE? 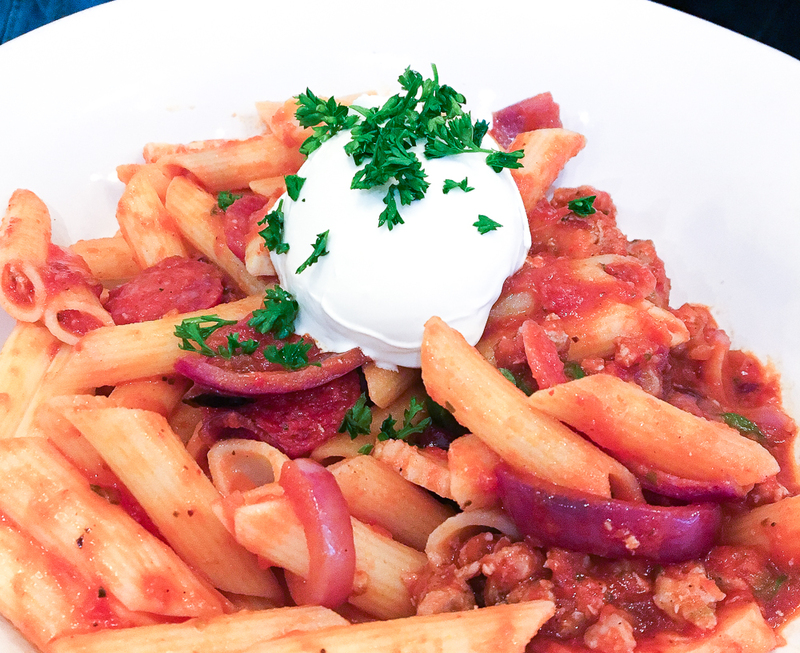 Did you know that Bella Italia uses eight different types of pasta, all sourced from Italian family suppliers? Well you do now. Sometimes I find I have eight different types of pasta in the cupboard at home, all hanging about in the bottom of various bags, so I mix them all up and have a ‘mystery pasta’ dinner. Bella Italia does not do this. This is Bella Italia’s Parma Dolcelatte. It might look like a pretty straightforward dish, but there was something about the flavour that was just spot on. 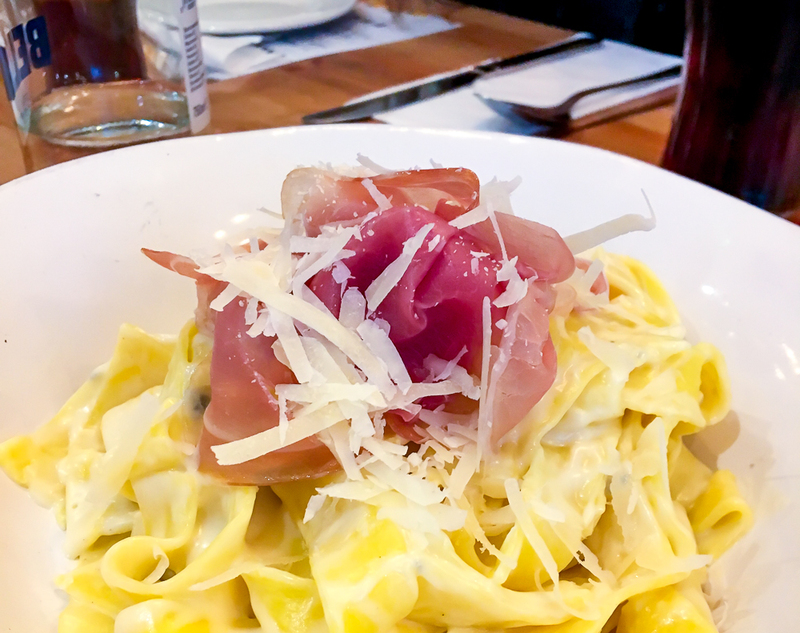 It’s tagliatelle in a four cheese sauce with dolcelatte and parma ham, but the dolcelatte isn’t overpowering – it’s all just a wonderful, creamy, tangy, cheesy feast in a bowl. I reckon this could be neck and neck with the pizza as the best thing I ate all evening. Bee and Belle are a little bit old for the kids menu now, but it’s always handy to know about these things. I say that, but mentally I do wonder sometimes. Even though they are 15 and 22 now they still seem to spend a lot of time acting like they are about six. Belle likes to try to wind Bee up by doing things like holding her hand or getting her face really close to Bee’s face. I’m sure it must be pretty boring for Belle sometimes, living with just me, so it’s always nice when we get to do stuff together. 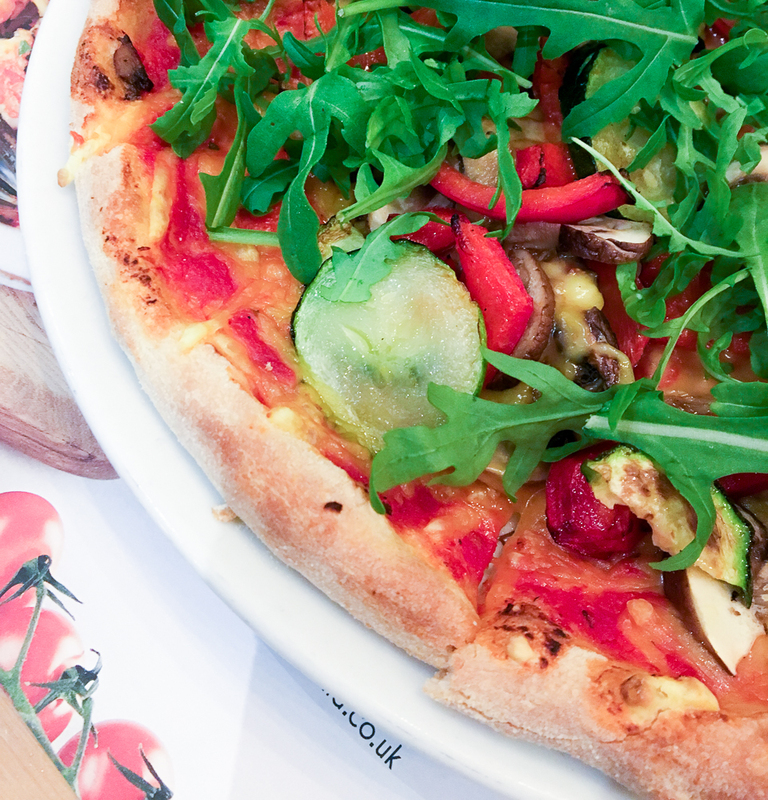 Bella Italia do two sizes of kids menu – one at £5.95 for younger children, and one at £7.95 for bigger kids. They even offer two stages of Ella’s Kitchen baby foods for the tiny ones. 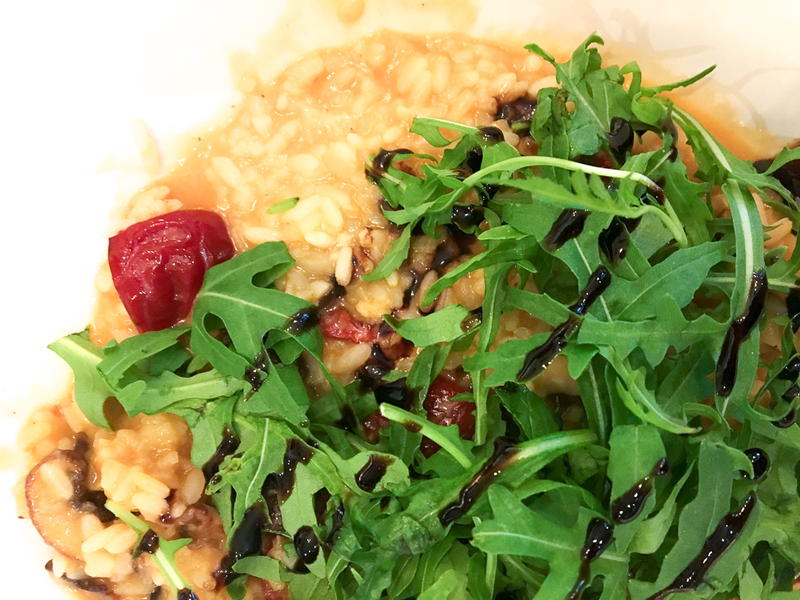 Both the size options offer three courses and a drink, (the drink options are really varied), and include lots of kid friendly Italian favourites, like calzone, risotto and salads. No smiley potato faces here. Well Bee, that was your loss, big style, because I thought it was delicious. It did taste different from regular cheese, but never having had vegan cheese before I was pleasantly surprised. You still got the gooeyness, which is important on a pizza, and it definitely wasn’t rank. I liked it so much in fact that I took the leftovers home with me and had them for lunch at the office the next day. Suffice to say that by this point in the proceedings I was having slight difficulty in breathing, given the vast quantities of food consumed. Carbs though, they are just so damn tasty aren’t they? 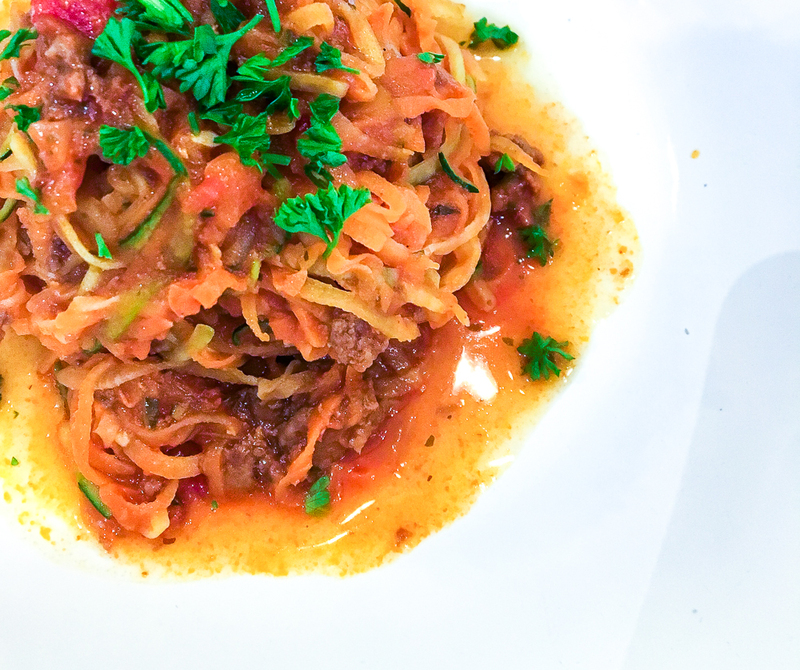 If you’re trying to be not such a greedy piggy as me, or just fancy switching for something a little bit lighter, Bella Italia have a ‘light’ section on the menu, where they have switched regular pasta for spiralised carrot, golden beetroot and courgette. 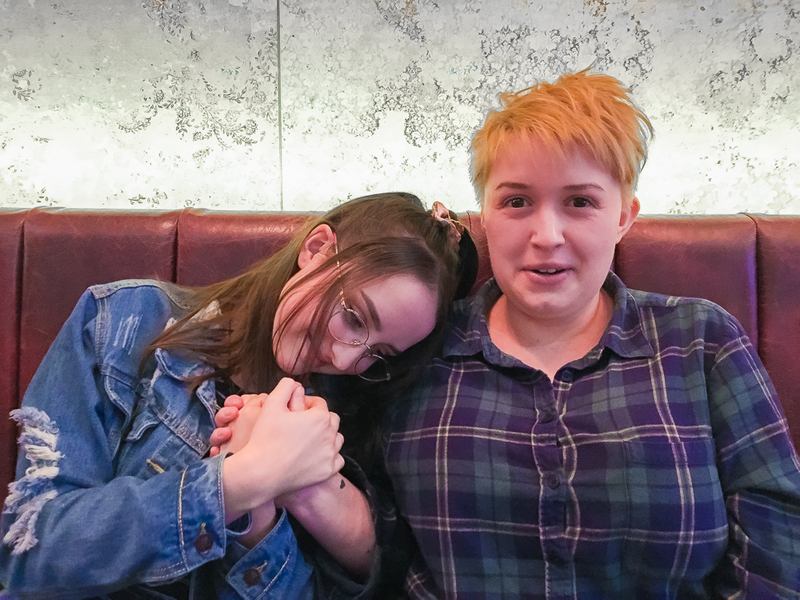 Our experience this time at Bella Italia was a million miles away from the goats cheese incident – the menu is varied and caters for lots of different needs and the staff were friendly and attentive. We will definitely be going back for another visit soon and I know for sure that Belle will be ordering the Queen Margherita. 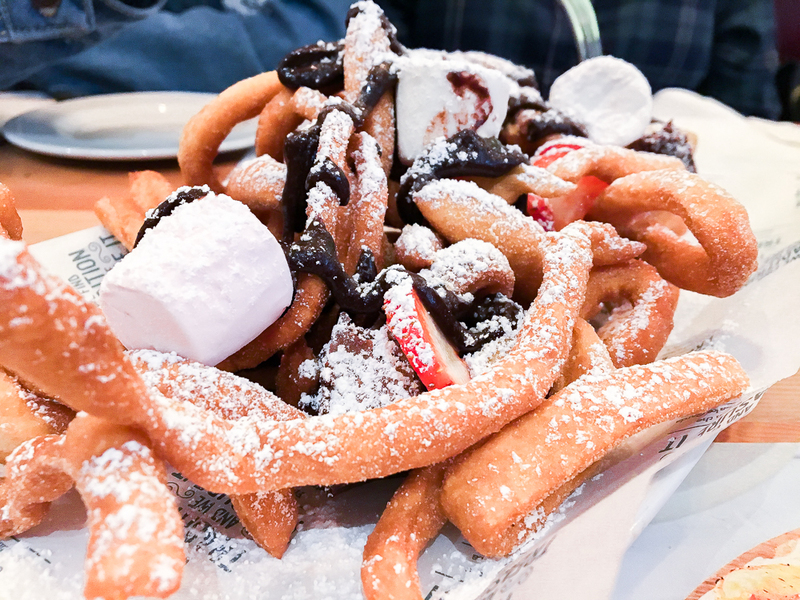 What do you think you’d choose from the dishes we tried? When you do pay a visit, make sure to check out the special offers before you go, as they often have some really good discounts, like 40% off mains at the moment until the end of June. Bargainorama. I’ve never been to Bella Italia before but the new menu sounds delicious! I especially love the sound of the cocktails and the different types of pasta they use. Pasta is just the best carb EVER! Have only ever eaten out here in London and as a last resort. Has always been formulaic microwaved blandness. Problem is, most people have a “go to” Italian pasta dish so restaurants really have to be able to deliver something that you can’t do at home having bought the ingredients from Tesco. Also, having been to Italy a fair few time, the food is SO GOOD, usually very fresh and lots of local variety washed down with great regional wine and the most amazing ice-cream, that UK varieties suffer. We also have a decent tradition of Trattorias in the UK and more up-market chains. So It’s tough for this chain. But what your visit has managed to do is showcase their fresh menu well, highlight their use of a wide range of pasta, veggie options and the dessert looked yummie. Nobody would have known about the cocktails and the fact you would all go back again has swayed my prejudice, a bit….well enough to give them another go….and that has to be a win, right?